Good communication within a company starts at the top and multiplies down through the hierarchy, thanks to effective training programs for supervisors and other employees. Train supervisors how to use “feel good” communications to make people feel important. Smiling, complimenting individuals often, and showing a sincere interest in them are good places to start. Prepare the proper language for correcting employee behavior or mistakes. Start by educating him or her on how those actions affect the success of the company, and once you’ve reached an understanding, listen to the employee’s ideas. Engage employees in the decision-making process to rally them around policymaking that will create change. Allowing people to be heard and express their ideas go a long ways toward accepting change. Disgruntled customers do not become happy customers unless your customer service people have had the proper training. 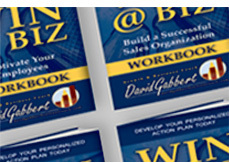 To grow revenue, develop step-by-step role-play training programs. Asking the right questions and learning how to listen will become the core of your training program. Quality communication at every level requires knowledgeable language development and listening skills. Develop a role-playing training program to teach these necessary skills at all levels of the company. Limit one-way electronic communications to information where no judgment of content or emotional reaction is possible.